The Supreme Court on October 29 passed a judgement effectively eliminating the grossly polluting passenger cars in Delhi-NCR. For Delhi, which has over one crore registered vehicles, the judgement directly impacts about 37 lakh cars that are older than 15 years. 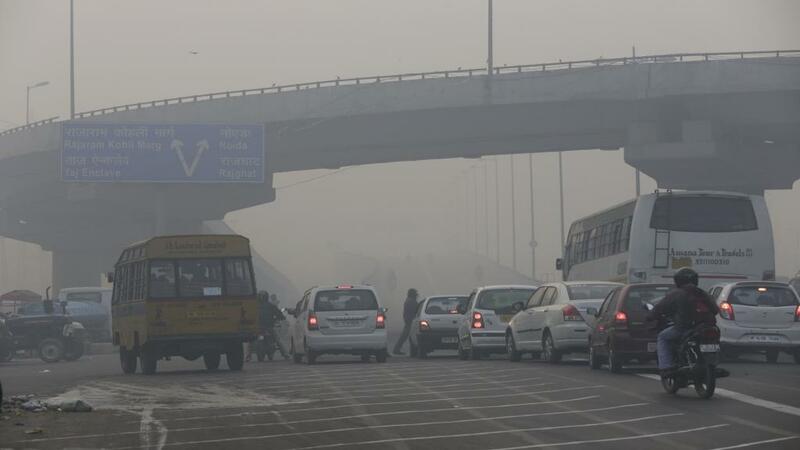 The apex court mandated the Transport Department of NCR, with immediate effect, to ban diesel vehicles more than 10 years old and petrol vehicle more than 15 years from plying within Delhi-NCR. This is in conformity with the National Green Tribunal (NGT) order of April 2015. NGT’s order was challenged in the apex court and the civil appeal was dismissed. Vehicles violating the order will be impounded. The IIT Kanpur Comprehensive Study on Air Pollution and Green House Gases in Delhi (2016) states that vehicles contribute 20 per cent to the PM2.5 emission load in the city. The recent Safar study found that emissions from the transport sector increased by 40 per cent in 2018 as compared to 2010. PM 2.5 are fine particles that can enter the bloodstream affecting heart and brain function. Further PM 2.5 in the air can enter the placenta, threatening both mother and baby. This judgement also brings forth the pressing issue of end of life regulations for automobiles. At present, there is no rule to guide the police or the government as to what is to be done with the vehicles after they are impounded and de-registered. Under the ‘Delhi Scrapping of Vehicles Rules, 2018’, all impounded vehicles, including two-wheelers, will be sent directly to empanelled scrap dealers for dismantling and owners will be paid a scrapping charge, which has not yet been defined. India needs a scrappage policy along with facilities to eliminate the re-use of parts of older vehicles in the informal sector. In absence of such facilities and lax enforcement, used old cars will find their way to neighbouring cities, causing more pollution in other parts of the country. Lack of space in Delhi-NCR for impounded vehicles is also a concern. To this effect the Central Pollution Control Board (CPCB) and the Transport Department of Delhi-NCR are to now publish a list of such vehicles on their respective websites. Similarly, a meaningful advertisement is to be published in a local newspaper for the convenience of the vehicle owners. The Supreme Court, in view of the worsening air quality trend in Delhi, has also directed the CPCB to create a social media account on which the citizens may lodge their complaint directly to be acted upon by the Task Force responsible for implementation of Graded Response Action Plan (GRAP). Now, citizens are empowered to directly address the local sources of pollution in their vicinity. The authorities in charge will be held directly responsible for resolution of such cases, with strict directions to maintain transparency of such necessary action undertaken. Environment Pollution (Prevention and Control) Authority (EPCA) is permitted to take pre-emptive steps under GRAP without strict adherence to pollution stages delineated in the plan. EPCA will exercise informed discretion to take pre-emptive steps to implement the point-to-point actions mentioned in the GRAP categories. They can take actions on any steps mentioned under any category irrespective of the pollution category prevailing in the city.